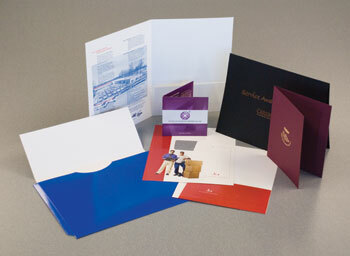 We offer numerous types of printed corporate solutions. See below for product styles and production information. 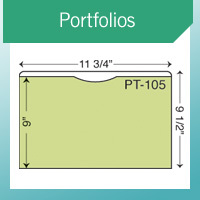 Plastic Binding Strips (Report Covers): Give your reports a professional, finished look. Available in black or white. 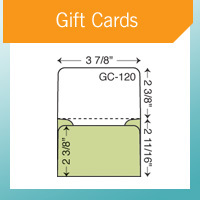 Each strip measures 11 1/4" long. Specify color when ordering. 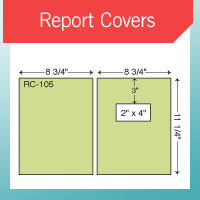 Window (Report Covers): Report Covers are available with or without the die-cut window. 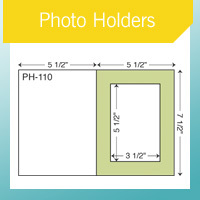 If the window is not needed, please indicate that on your order. Windows are standard as shown. Windows can be deleted at no additional charge. 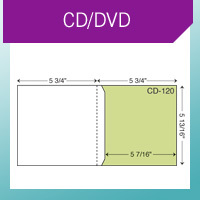 Printing: Pricing includes printing on one side only, see shaded areas of the style dielines. Please call for pricing on flood coverage. Pricing: Established using base stocks. Refer to the Stock Selection guide. See additions to base price for stocks in other groups. Pockets: All pockets are glued, unless noted. 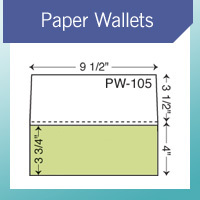 Final Fold: Items are shipped flat and not final folded, unless noted. Multiple processes will require additional working days.